I have solved my fruit labels problems. Though I had some success earlier in the year finding label free apples at the market, since May I haven’t been able to get these. Given the amount of apples I eat, these labels do add up. Commonsense Organics sell brown paper bags of seasonal fruit ($3.99 each of or 3 for $10) and they are all plastic label free. Even better, they happily let me tip the paper bags into my tote bag and said they’d reuse the paper bags. Double win. Speaking of apples, I had another go at making apple cider vinegar. Yes, it’s simple but something went wrong this time and after a few weeks I got mould and chucked the whole lot out. Most likely, the jar wasn’t properly sterilised. I’m making some more today so we’ll see how that goes. I’m still using apple cider vinger as a conditioner and have stuck to my medicated shampoo. But I took up Eileen’s suggestion of goats milk soap and it’s been amazing. My skin has completely cleared up. It was a very timely timely comment as the day it was posted I visited a market and lo and behold – goats milk soap stall. I was really tempted by some of the soaps but the heady smells of vanilla and coconut are too much for me so I stuck to the lighter lemon balm and gave no complaints. 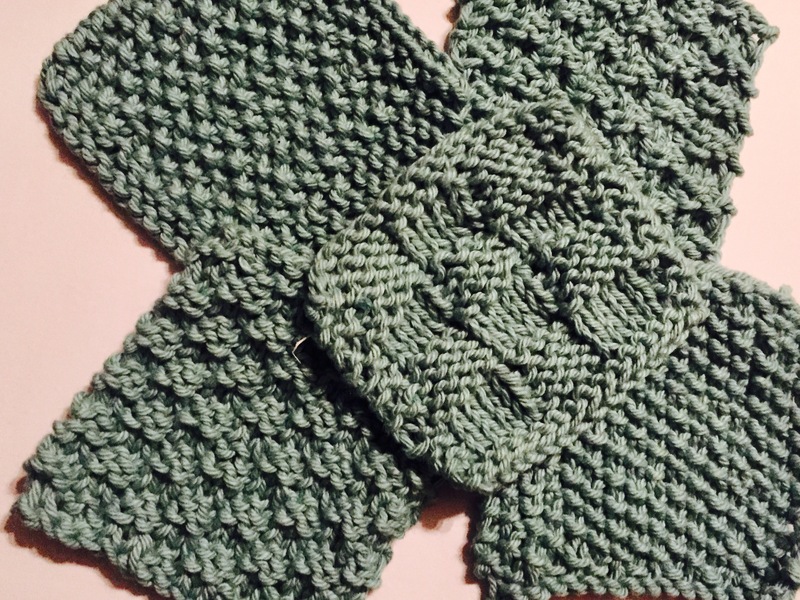 I have also been knitting quite a few baby cardigans recently for people who have just had or are expecting babies. I realised last week that I needed buttons for some of these. While I have a small stash of buttons salvaged from clothes, they didn’t really work for the baby cardigans. 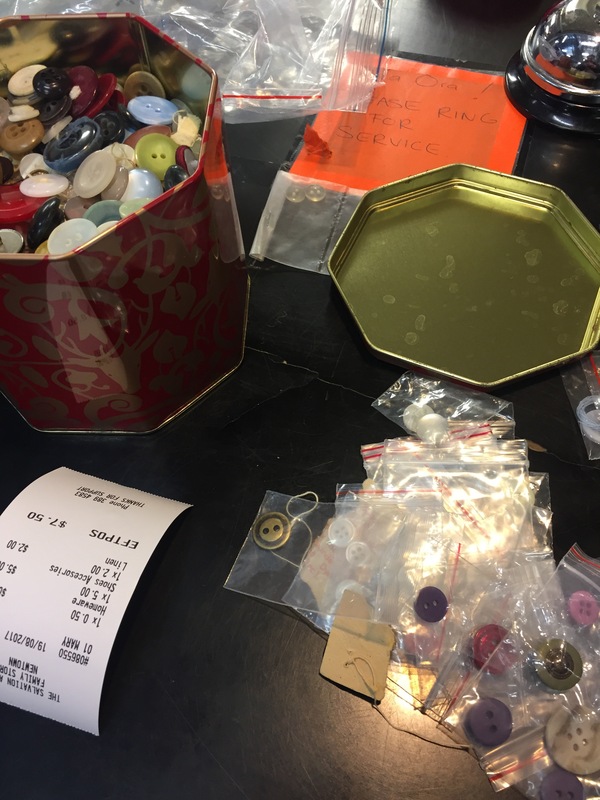 I went to some craft shops and realised I could but individual buttons so they weren’t wrapped in plastic. But, of course, most buttons are plastic so playing by my own rules, I needed to source them second hand. 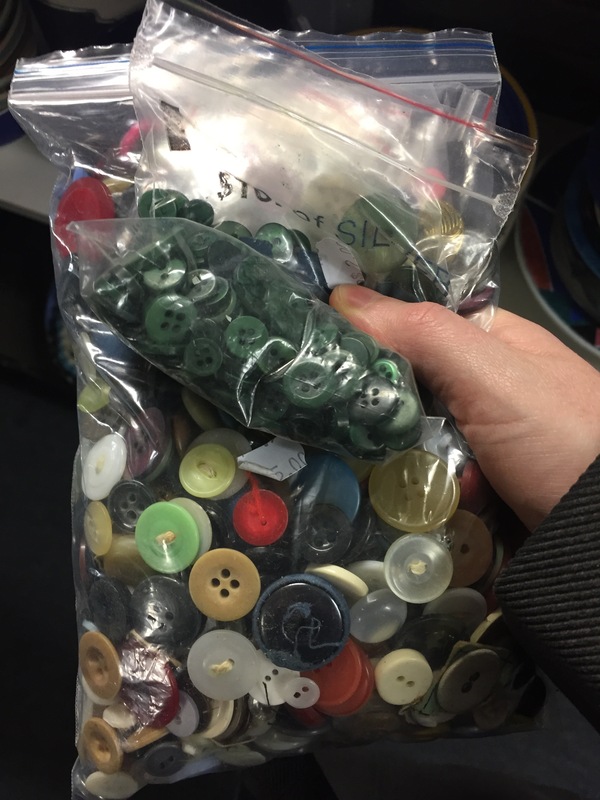 It took 4 charity/op shops but I finally found a two big bags of buttons. Yes, you’ve spotted they are in plastic bags. I decided to spend another 50c on a container and not take the plastic bags. But when I’d finished emptying , the girl at the counter asked if she could throe the bags in the rubbish. Slightly horrified, I said no, I’d take them and put in the recycling. I did spend a very therapeutic half hour sorting the buttons into colours. 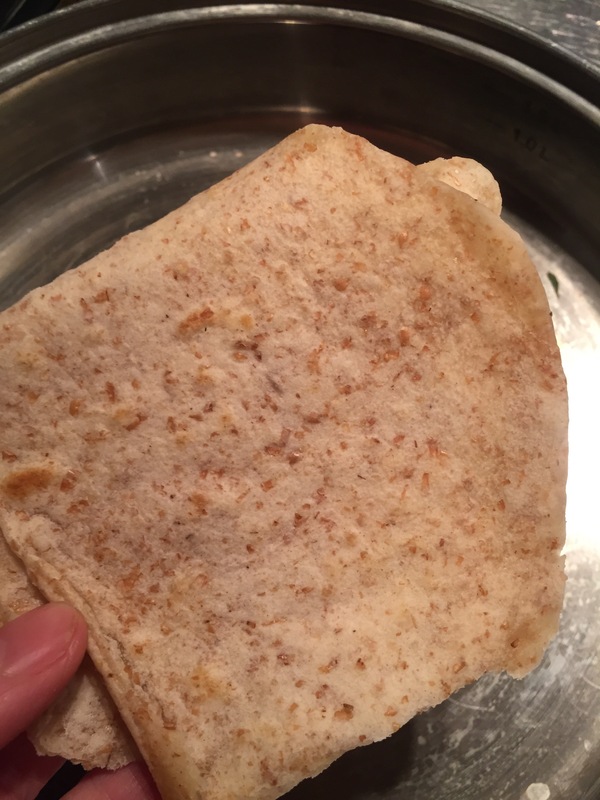 I attempted to make homemade tortillas today so I could put Chicken fajitas back on my limited menu. I’d seen a recommendation for a flour tortilla recipe but lazily decided to google it instead of hunting for that one. I plumped for this one before realising that thanks to the shortbread and loaf of gingerbread I’d just made, I didn’t have enough flour. So I used 1/3 Plain flour, 1/3 strong flour and 1/3 wholemeal. And I halved the recipe. Either way what I ended up with didn’t puff up and had a slightly sawdust taste. I’ll have another go once I’ve got more flour and I’ve found the recommended recipe! And lastly, not to be beaten by our Mother, my sister sent me this photo of her new Wellife cup. As she often runs or cycles places, she wanted one that collapsed for easier carrying. 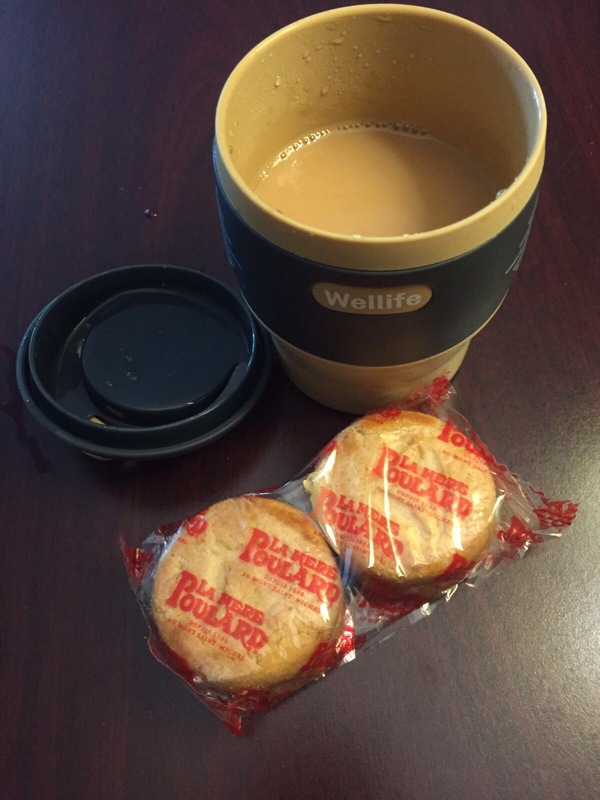 (Disregard the plastic covered biscuits. Those Breton biscuits are just to make me jealous!) And it should be noted it’s tea in the cup rather than very weak coffee. 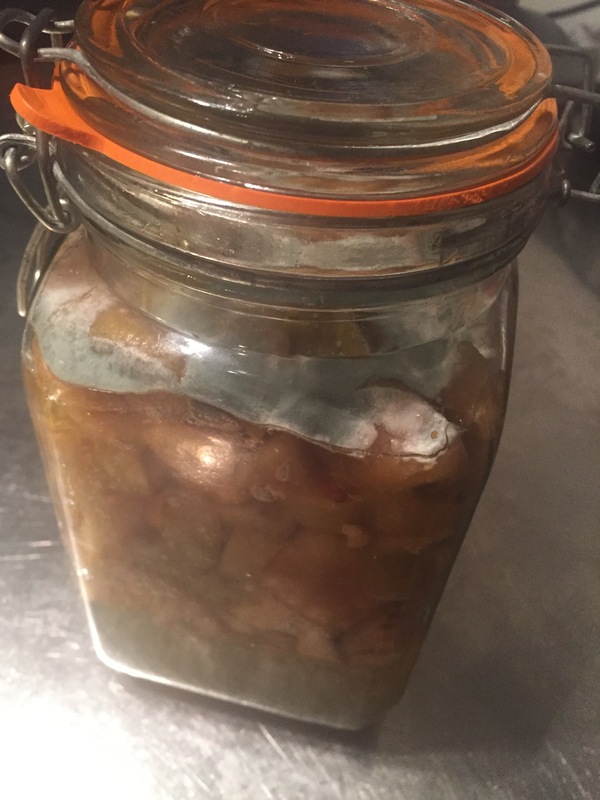 Next up, following on from plastic free freezing, I thought I’d write a bit about general plastic free food storage. I realised I’d forgotten my plastic travel cup today when I was on the way back from a long journey and needed a long cold drink from Costa. In the end I found some plastic cups with lids and a reusable straw, so plastic, but one I can leave in the car and hopefully have whenever I need it. Thankyou for making me think about things. I’m loving my collapsible cup! Have also been encouraging new friends to get these!